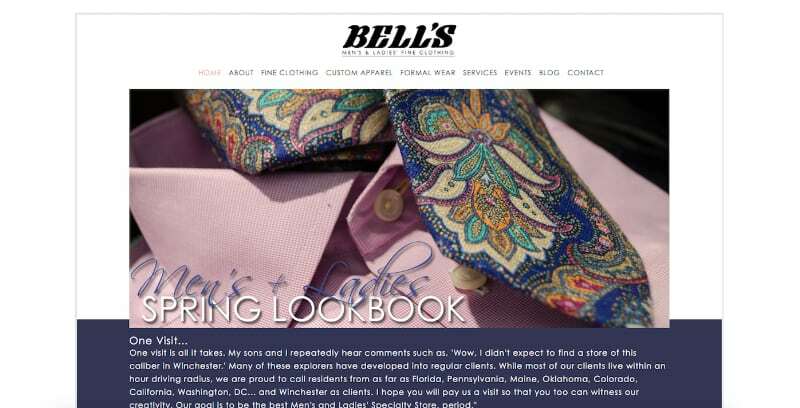 Bell’s had an antiquated website and needed a fresh, new look that reflected their style, services and upscale products. We developed a new website that is stylish, functional and showcases all of the wonderful offerings that Bell’s brings to its clients. It includes several slideshows that provide a stunning representation of Bell’s and Winchester as a destination.